Our Open Morning is this Wednesday (10th October 2018) between 9.30am and 11.30am. An Open Morning is a great opportunity for parents, prospective parents and members of the community to see the school in action. 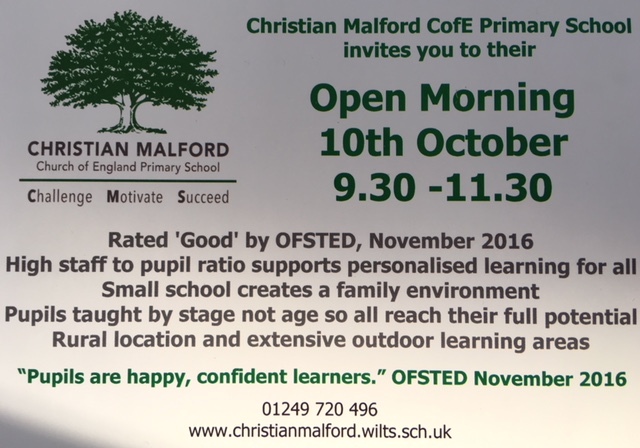 If you would like further information, or to arrange an alternative date to look round, please email admin@christianmalford.wilts.sch.uk or call the school office on 01249 720496.